Salaah occupies a lofty position in the religion of Islam. Its performance is the foremost duty of a Muslim after he has brought faith in the Oneness of Allah Ta’ala and the prophethood of His holy Messenger, Nabi Muhammad (Sallallahu alayhi wasallam. It is a most special act of Divine worship which he is called upon to perform five times daily without fail. The pages of the Qur’an and Hadith are replete with injunctions which enjoin Salaah on us. It is of such paramount importance that it has been described as a pillar and foundation of faith. 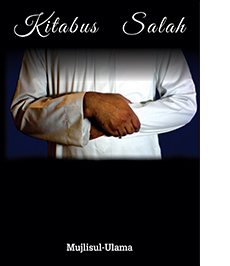 Leave a comment for: "Kitaabus Salah"